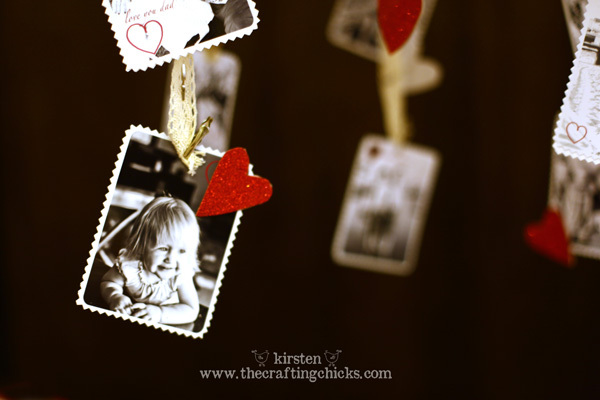 Valentines is still a handful of weeks away, but now is the time to think about decor, valentines for your kids, etc. 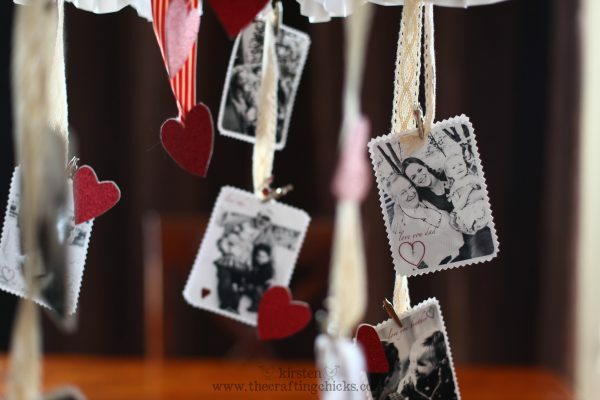 Tune in to see Kirsten Wright on Studio 5 today and see some of these crafts LIVE, including the Valentines Paper Chandelier. 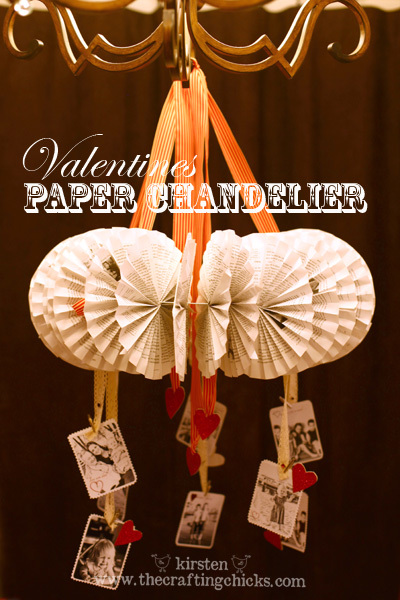 If you would like to see the ORIGINAL Paper Chandelier and FULL tutorial, click HERE. This too will be featured today LIVE on channel 5 at 11am here in Utah. 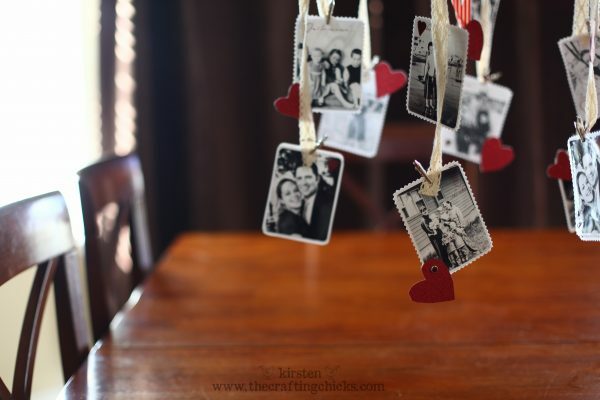 I love this particular project because it allowed to me find all my favorite pictures again, and the kids go crazy to see their pictures hanging above the table. Other uses for the chandelier: birthdays, other holidays, anniversaries, parties and more :). For all the details click the link above. 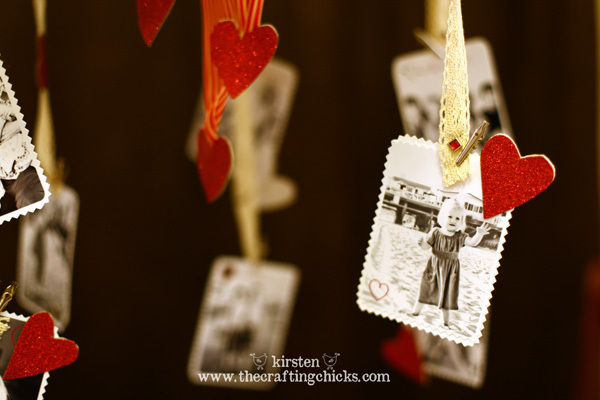 Make sure you stay turned for the DOWNEAST giveaway tomorrow and for many more fun Valentine crafts that we will unveil over the next couple of weeks. 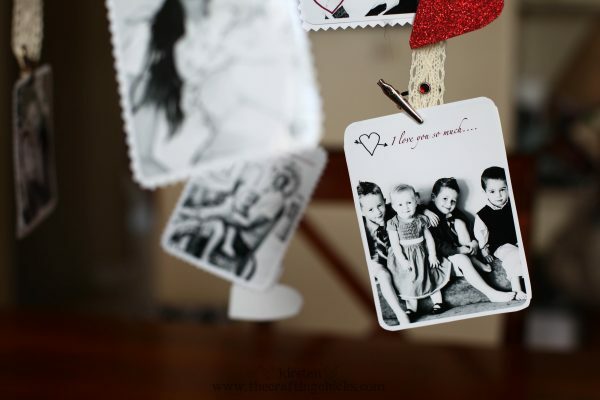 That is so cute – I like the vintage look to it! Good luck with your tv program too, have fun! 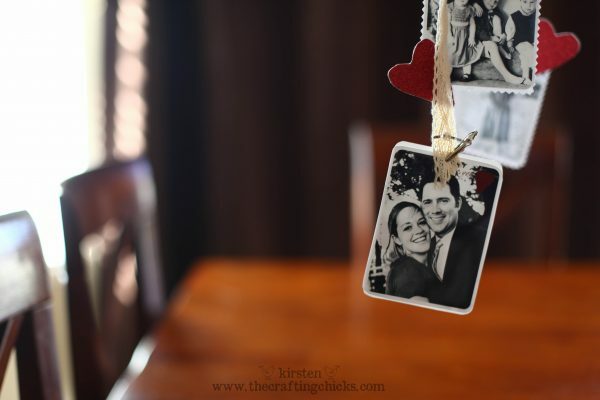 Such a great DIY project with a sweet personal touch! Loved it so much, we’ve shared it on our Bellenza Facebook page. Okay, this is AH-MAZING! 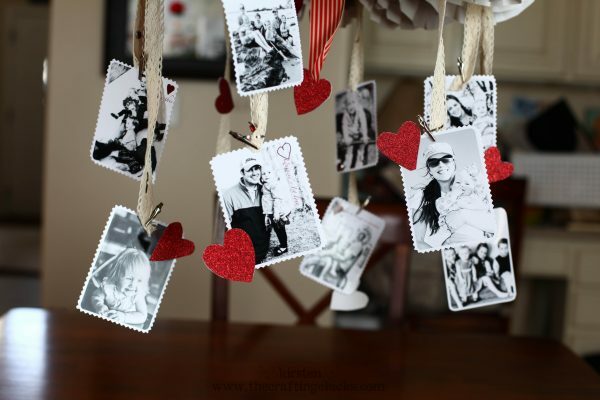 I love the B&W photos with the red heart details. And I liked the birthday version on the show too. Especially the ones with the red print on them. Super smart! You did an amazing job. I watched it last night on my DVR. You’re all naturals. Yay for Crafting Chicks on TV!!!!!! You are so nice 🙂 We so need to meet you sometime, you rock! You should totally make one. 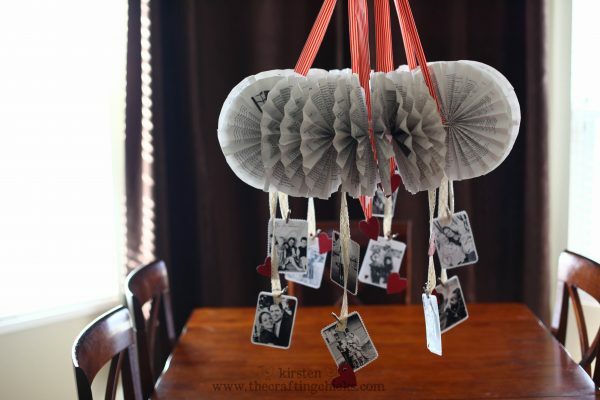 That would be AMAZING with Vintage photos, I would love to see if when you are finished!!!! wow lve it! I’m new in paper craft things…. this will be my next project! THX!